Although the blues captivated many North Carolinians earlier than jazz did, the state nevertheless produced a long and impressive list of jazz musicians throughout the twentieth century. The scarcity of early jazz in North Carolina gave way to the popularity of swing music during the 1930s and 1940s. Several bandleaders were born in the state, while others attended school in North Carolina. The Hal Kemp and Kay Kyser bands began as undergraduate groups at the University of North Carolina in Chapel Hill. John Scott Trotter, who wrote for the Kemp band and later for television, also attended UNC. In Durham, Duke University proved a starting point for bandleaders Les Brown, Johnny Long, and Sonny Burke. Dean Hudson, Freddie Johnson, and Jack Wardlaw are other Swing Era leaders identified with the state, as are drummer and singer Skinnay Ennis and tenor saxophonist Saxie Dowell, two veterans of the Kemp orchestra who later formed their own bands. Among Swing Era band sidemen, trumpeter Johnny Best, from Shelby, and pianist and arranger Eddie Wilcox, from Method, are the most distinguished. Best worked with Les Brown, Charlie Barnet, Glenn Miller, Artie Shaw, Sam Donahue, and Benny Goodman and later became a studio musician on the West Coast. Wilcox played with and wrote for the Jimmie Lunceford band in the mid-1940s. Judy Ellington, another Raleigh native, sang with the Barnet band. An adopted North Carolinian, Billy Strayhorn, born in Dayton, Ohio, but reared partly in Hillsborough, spent 28 years with the Duke Ellington Orchestra as staff arranger, composer, occasional pianist, and Ellington's indispensable right-hand man. Saxophonist Bud Shank, also born in Dayton, went to high school in Durham and attended the University of North Carolina in Chapel Hill, where he played with John Satterfield's band in the mid-1940s before beginning his career. He later became a much-in-demand studio musician on the West Coast and then a fiery soloist with his own combo. Big band music declined after World War II, replaced by unique new styles. Pianist and composer Thelonious Monk, born in Rocky Mount in 1917, and drummer Max Roach, born in New Land in 1924, helped create bebop, jazz's new post-Swing Era language. They, along with tenor and soprano saxophonist John Coltrane, born in Hamlet in 1926, remain certified giants in the history of jazz music. 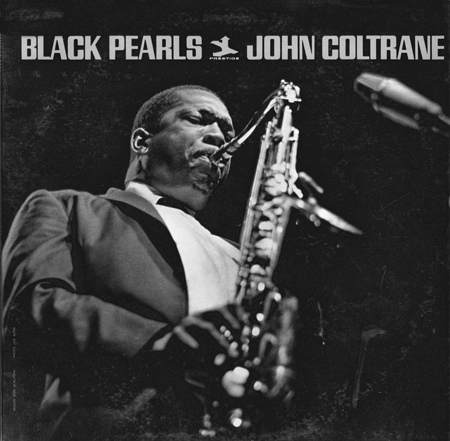 Concurrently, more and more musicians began to idolize and emulate Coltrane, who would become the most influential jazz musician of the last third of the twentieth century. Jazz pianist Billy Taylor, born in Greenville in 1921, became a purveyor of a smooth, bop-based trio style ca. 1950 and a well-known radio and television host, the latter on Charles Kuralt's Sunday Morning series. He also wrote the first bebop instruction book. Other North Carolina jazz pianists include Linton Garner (Greensboro), Frank Kimbrough (Roxboro), Loumell Morgan (Raleigh), Mickey Tucker (Durham), and songwriter Loonis McGlohon (Ayden). Bassist Percy Heath, born in Wilmington, is best known for his 40-year tenure with the Modern Jazz Quartet. Scott Lee, from Greensboro, is another North Carolina bassist. North Carolina jazz drummers include Freddie Moore (Washington), Dannie Richmond (Greensboro), and Grady Tate (Durham). Moore played in early New Orleans jazzman Joe "King" Oliver's band in 1930, several years after Louis Armstrong began his rise to fame in the same unit. Saxophonist Willis Hargrove, born in Chapel Hill, performed with Oliver in the mid-1930s. Dixieland clarinetist Bill Napier (Asheville) and saxophonists Lou Donaldson (Badin), Harold Vick (Tarboro), Numa "Pee Wee" Moore (Raleigh), and Tab Smith (Kinston) are North Carolina reedmen. The state's jazz trumpeters include Ray Codrington (Dunn), Waymon Reed (Fayetteville), and Woody Shaw (Laurinburg). Among guitarists, the state boasts Skeeter Best (Kinston), Tal Farlow (Greensboro), and Bill Harris (Nashville). Jazz singers include Nina Simone (Tryon) and Nnenna Freelon, an adopted North Carolinian who lives in Durham and who has recorded several albums for the Columbia and Concord labels since the early 1990s. Vibes players Jon Metzger, who lives in Gibsonville, and Steve Hobbs, from Raleigh, also released albums on nationally distributed labels in the 1990s. Beginning in the 1960s, high school and college dance bands evolved into stage bands, with music education as an emphasis. This afforded both local and name jazz musicians opportunities to work as artists-in-residence or become full-time faculty members. Mary Lou Williams, revered for her Swing Era arrangements and consistently modern piano style, joined the faculty of Duke University in 1977. After Williams's death in 1981, Paul Jeffrey, a New Yorker who played tenor saxophone with the Thelonious Monk Quartet in the early 1970s, followed. He has been at Duke for more than 20 years. Most of the schools in the University of North Carolina System now include jazz bands and jazz courses in their curricula, as do Elon University, Shaw University, and the North Carolina School of the Arts, among others. In the 1990s, the formation of the North Carolina Jazz Repertory Orchestra by UNC-Chapel Hill music professor James Ketch signaled a new era in the status of jazz in the state. The group's programs of music by Ellington, Goodman, Stan Kenton, and other famous leaders have reached into the schools as well as concert halls. The state also boasts several jazz festivals throughout the year, including the North Carolina Jazz Festival, held in Wilmington. Kenny Mathieson, Giant Steps: Bebop and the Creators of Modern Jazz, 1945-65 (1999). Dave Oliphant, The Early Swing Era, 1930 to 1941 (2002). George T. Simon, The Big Bands (1971). Wonderful page, Continue the beneficial job. Thanks a lot!